That is fabulously cute! I love, love, love it! I may need to get mine out too! This is such a great card Kendra. I just love that stamp!! And the card is soooo well put together! Always good to dust off the oldies but goodies! 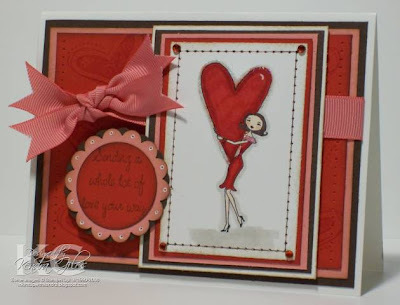 Love your card...and you are right that is a great colour combination for a valentine card! Very cute! Great coloring and I love the ribbon! Very Cute Card Kendra... This would be a great Valentine. She is Adorable...This is a Hannah stamp I would like, I will have to tell my husband that saying. Gorgeous Card with different stamps and products! You combined them so well! Yes, I LOVE the color combo, as well! It is so nice to find joy in some of your old stamps...isn't it! I have some SU gems myself I should drag out. This one is so cute and perfect for valentine's day! Love this color combo too! Aren't you glad you reached for the "oldie but goodie?" I love to get out the oldies now and then! This looks just as fresh and cute as when it was brand new--a darling card! I've been a demonstrator for 10 years and I've never seen this set! How old is it?! I'm intrigued! Dust off more! More! More!! I think it's a great exercise to reach for something that has been gathering dust !! Love it! Love that bow! Is it a regular knot? OMG! This is so cute!!! You've got me scrambling for my Living Large stamp set. Did I sell it? 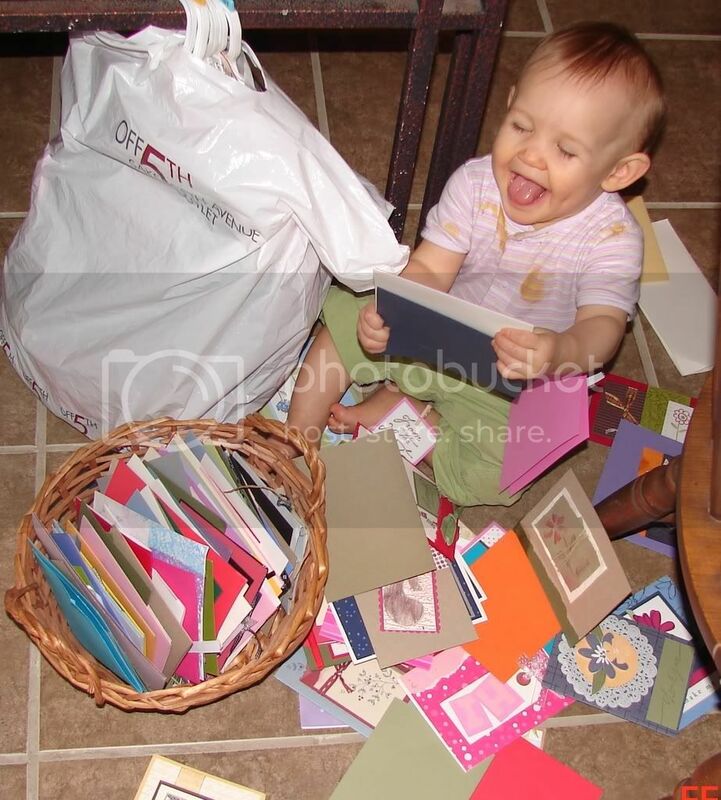 Nope, I gave it to my daughter for her stash. Whew!